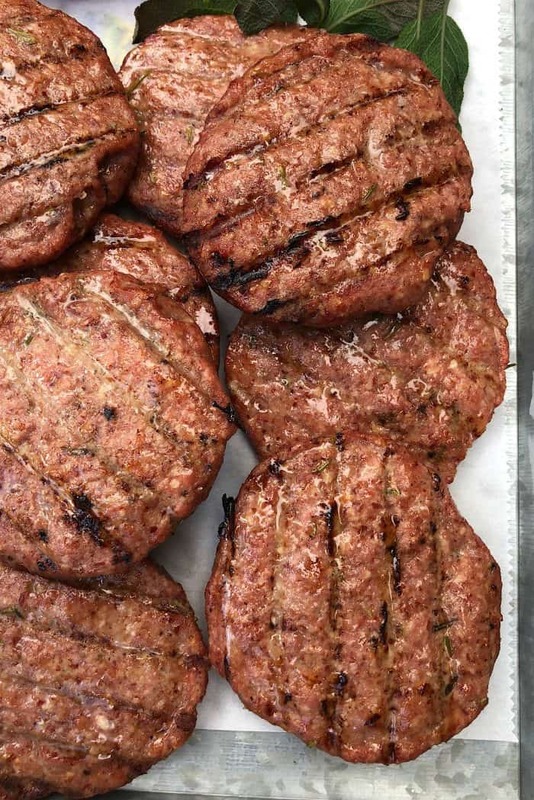 Enjoy this gluten-free Grilled Best Turkey Burgers Recipe, made with ground turkey, almond meal, ginger, and fresh rosemary. 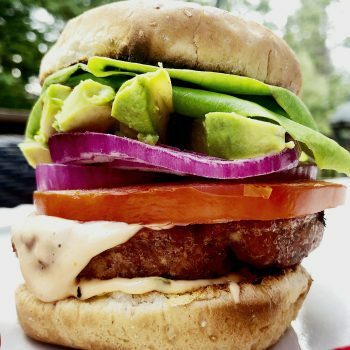 The perfect summer burger! WATCH THE VIDEO! This last weekend we just hung out on Sunday after church, and it was glorious. 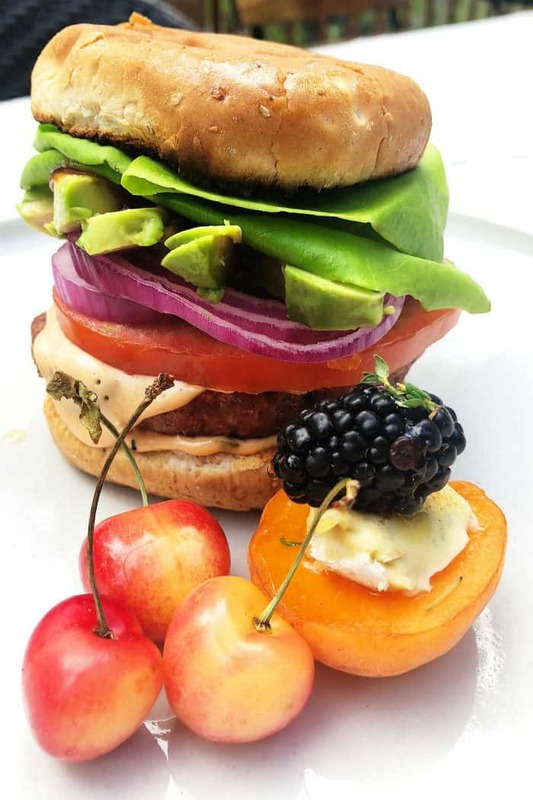 We enjoyed Grilled Best Turkey Burgers Recipe, with a yummy appetizer (apricots, cheese, blackberries, honey–recipe coming soon), and we munched on cherries in between. 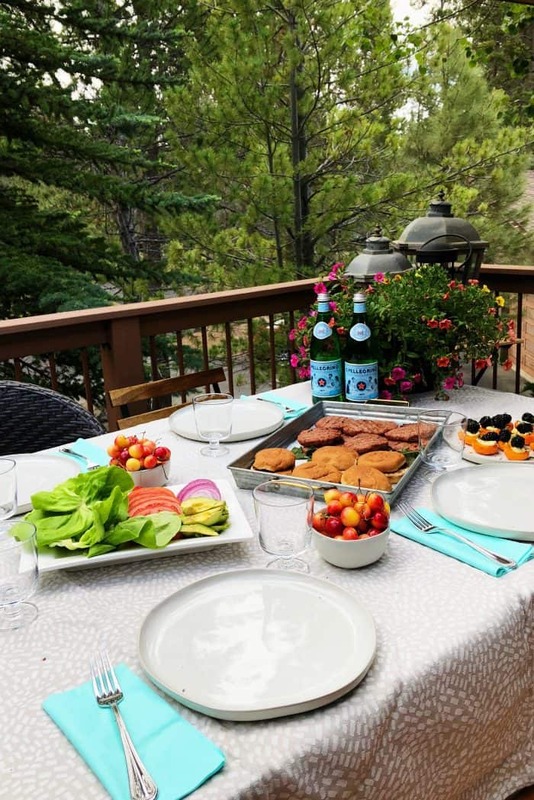 Nothing says summer more than a pretty table, and fresh summer cherries. And, having the family together! 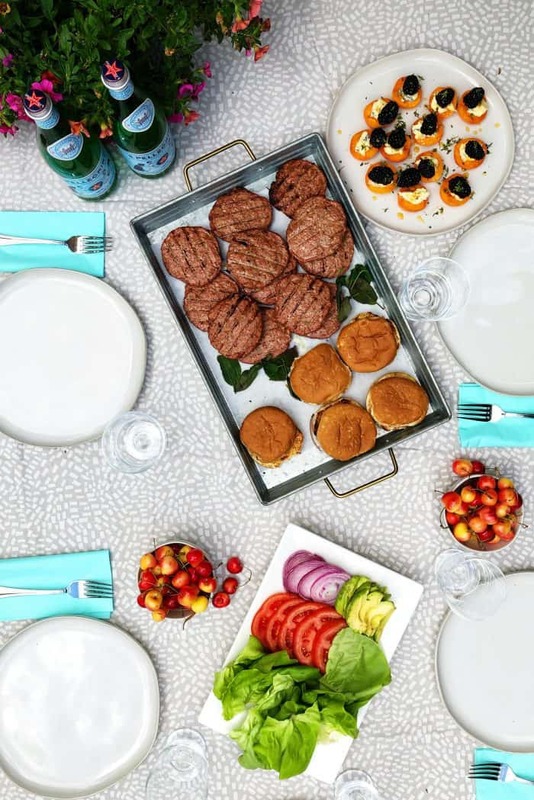 Set the table with your favorite summer colors! I LOVE to cook for people! Family dinners mean everything to us. Food is a necessity! 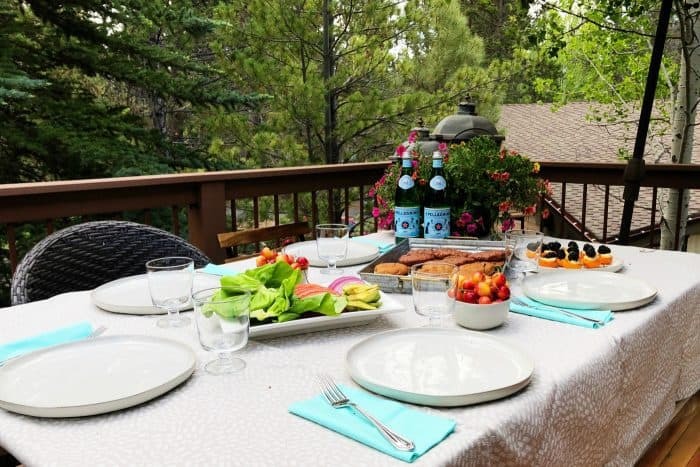 If you can combine love, pleasure, and family with a necessity….perfection! 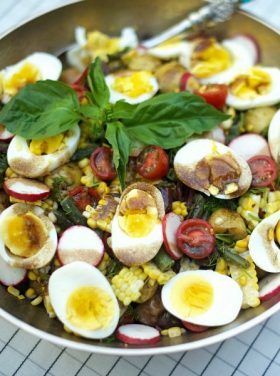 Creating new recipes and making a delicious meal to start off the week is one of our greatest joys. 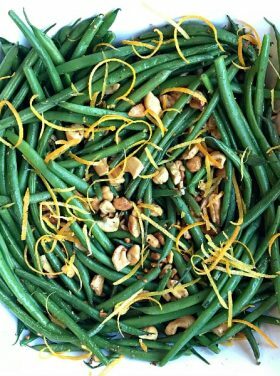 Our kids are all home this summer, and filling the bellies of my favorite people with food not only makes them happy, but it nourishes their spirits—and mine. The smell was divine (ginger and rosemary? yes, please! ), and it came together in nearly no time, leaving us more time around the table, and then relaxing with this Mixed Berry Crumble dessert. And burgers are all about the toppings. We love butter leaf lettuce, large heirloom tomatoes, red onion, avocado, and sometimes pickles and bacon! Yes, bacon! Happy Summer Friends! Watch the video! 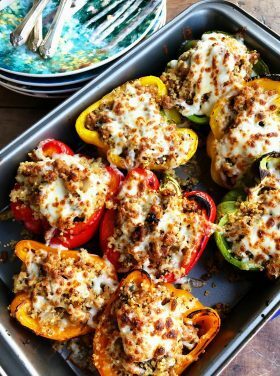 Add ingredients together, use patty press, and barbecue or broil (in winter). 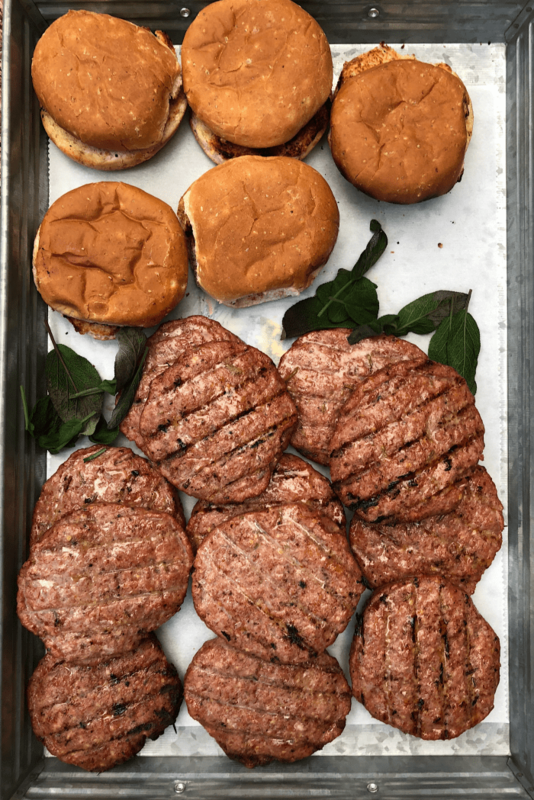 Gluten-free patties! RE TIP: We've found spraying your hands with cooking spray or canola oil helps with sticking. In a small sauté pan over medium heat, sauté together olive oil, ginger, garlic, and rosemary for 1-2 minutes, until garlic is browned. In large bowl, add the ground turkey, almond meal, egg, salt, and pepper. Add in the sautéd mixture. Mix well (use hands if you need to). RE TIP: We've found spraying your hands with cooking spray or canola oil helps with sticking. Use a patty press for quick and easy patties (or you can make with your hands). Grill over medium heat (about 350 degrees) until patties are done. 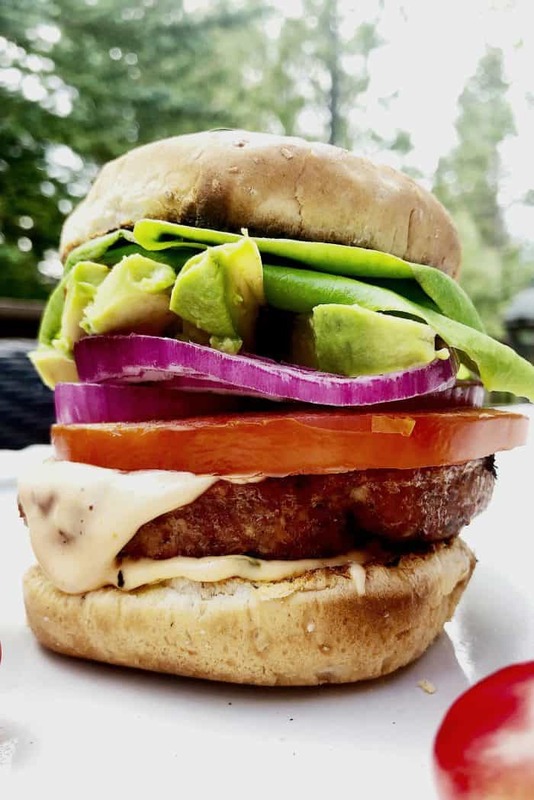 Serve with your favorite burger condiments (lettuce, onions, tomatoes, pickles, avocado, bacon) and favorite hamburger buns. 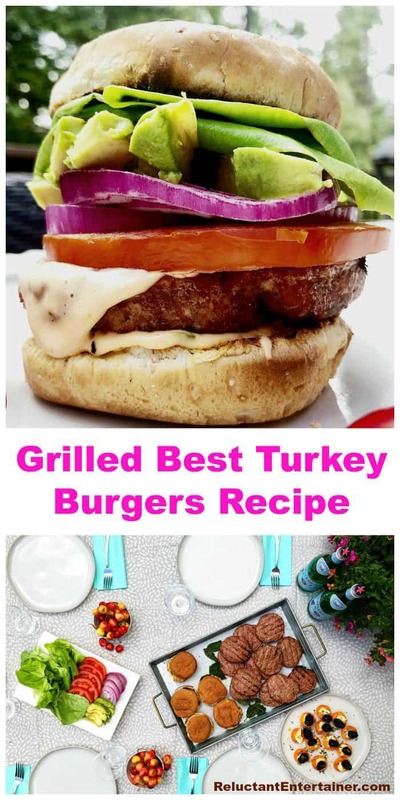 More burger recipes: Avocado Chicken Burgers [Well Plated], Taco Burgers [Taste and Tell], and Hawaiian Burger Recipe [TidyMom]. I love that there’s almond meal in the mix… intriguing!! I am loving the addition of ginger in here!